Currently on their Big Love World Tour having celebrated a milestone 30-year anniversary, the band will perform their classic hits this summer from their timeless back catalogue. Mick Hucknall will be joined by his long serving band mates Ian Kirkham (sax), Steve Lewinson (bass), Kenji Suzuki (guitar), Kevin Robinson (trumpet and flute) and Dave Clayton (keyboards) plus new drummer Roman Roth, who will thrill the audience with their canon of hits, including ‘Stars’, ‘If You Don’t Know Me By Now’‘Holding Back The Years’, and ‘Fairground’, to the backdrop of some of the UK’s most iconic locations. 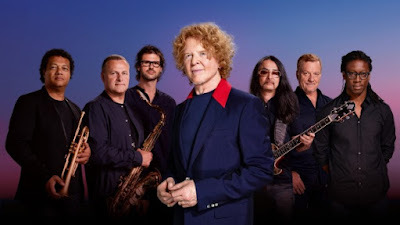 Since they burst onto the scene in 1985 with their seminal cover of ‘Money’s To Tight To Mention’, Simply Red have made a string of classic, landmark albums, selling over 60 million albums worldwide.